Home News > UAE National Day Greetings! 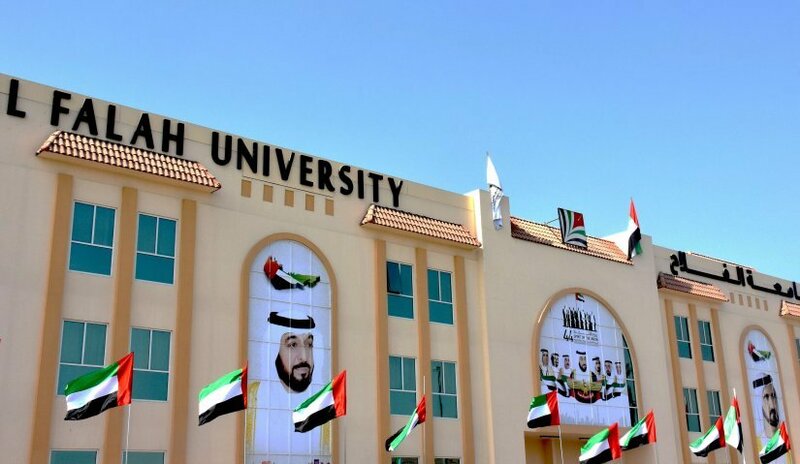 Al Falah University extends heartfelt congratulations and blessings to His Highness Sheikh Khalifa bin Zayed Al Nahyan, may God protect him, and to His Highness Sheikh Mohammed bin Rashid Al Maktoum, UAE Vice President, Prime Minister and Ruler of Dubai, and his brothers Their Highnesses Members of the Supreme Council Rulers of the Emirates on the occasion of the 44th National Day of United Arab Emirates. On this solemn day we must remember the late Sheikh Zayed bin Sultan Al Nahyan, the founder of the state and the builder of the nation. His efforts continued for years until the Union of his dreams turned into reality. His trust in his abilities led to the success, advancement and development of the nation by bringing his people close from all across the Emirates, before the proclamation of the state officially in the 2nd December 1971.